With heavy coverage in the media, low carb and ketogenic diets are all the rage right now. And for a good reason; for some people, they truly work. But what do all these different terms like ketogenesis and ketone bodies actually mean? Firstly, this article takes a look at what the ketogenesis pathway is and what ketone bodies do. Following this, it will examine six potential health benefits of ketones and nutritional ketosis. Ketogenesis is a biochemical process through which the body breaks down fatty acids into ketone bodies (we’ll come to those in a minute). Synthesis of ketone bodies through ketogenesis kicks in during times of carbohydrate restriction or periods of fasting. When carbohydrate is in short supply, ketones become the default energy source for our body. As a result, a diet to induce ketogenesis should ideally restrict carb intake to a maximum of around 50 grams per day (1, 2). Ketogenesis may also occur at slightly higher levels of carbohydrate intake, but for the full benefits, it is better to aim lower. When ketogenesis takes place, the body produces ketone bodies as an alternative fuel to glucose. This physiological state is known as ‘nutritional ketosis’ – the primary objective of ketogenic diets. There are various methods you can use to test if you are “in ketosis”. Key Point: Ketogenesis is a biological pathway that breaks fats down into a form of energy called ketone bodies. Ketone bodies are water-soluble compounds that act as a form of energy in the body. The first thing to remember is that these ketones satisfy our body’s energy requirements in the same way that glucose does. However, unlike glucose, ketone bodies have no impact on blood sugar or insulin levels. Although we often hear that carbohydrate is “essential” for energy — it isn’t. Our body can meet its energy needs through fat too. Note: This doesn’t mean all carbs are inherently bad for you; they aren’t. Key Point: Ketone bodies are an alternative source of fuel that the body can use for energy. 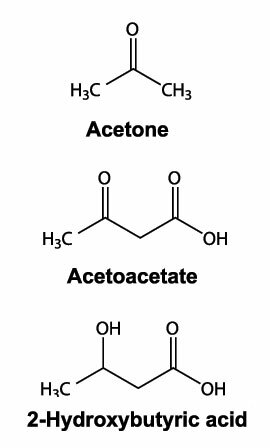 Ketones are produced from the breakdown of fat. Firstly, the process of ketogenesis and the subsequent production of ketones changes the whole way in which our body operates. After adapting to ketosis, the body starts using ketones for energy rather than glucose, and this may have numerous positive benefits. Although ketosis has many potential advantages, this article will focus on six of the leading benefits. For any concerns around ketones and ketoacidosis, see this guide to ketogenic diets and ketoacidosis. Alzheimer’s disease is one of the most terrible modern diseases, and it is one that devastates families both emotionally and financially. The idea has been around for some time, but recent research suggests that Alzheimer’s may be a form of diabetes. Some researchers have even given it the tentative name of ‘type 3 diabetes’ (3, 4). In other words, they are referring to Alzheimer’s as insulin resistance of the brain. The idea is that the condition is similar to type 2 diabetes, where our body becomes resistant to insulin; the only difference is that with Alzheimer’s it happens in the brain (5). Insulin resistance signifies that we cannot metabolize carbohydrate correctly, and so our brain becomes starved of energy (glucose). Can Ketones Provide an Alternative Fuel For the Damaged Brain? This research examines the idea that the Alzheimer’s brain cannot adequately function on glucose. However, through ketogenesis, the body can produce ketone bodies that provide a source of energy that the brain can utilize. This shouldn’t be taken to mean “low carb diets cure Alzheimer’s”, but they may potentially play a role to help treat the disease. “A ketogenic diet is a safe intervention that is well supported by science to bypass the brain’s deteriorating usage of energy”. However, whether it can limit the onset or progression of Alzheimer’s is not known at this time (6). Ketones have a neuroprotective mechanism in which they block amyloid, a kind of plaque that builds up in the brain in Alzheimer’s cases (7). Ketone bodies show benefit in both animal and human clinical trials, but it is a new area of research. Additionally, a randomized controlled trial demonstrates that Alzheimer’s patients taking a ketone supplement show improved cognition (8, 9). Key Point: The brain is able to use ketone bodies as a replacement fuel for glucose. As a result, a diet that induces ketosis may hold promise for limiting the progression of Alzheimer’s disease. Blood glucose levels need to be very low for the induction of ketogenesis. Therefore, when the body is producing ketone bodies, blood glucose levels will be minimal. In the presence of low blood sugar levels, the amount of insulin the body releases will also fall. As shown above, in type 2 diabetics, a diet higher in fat results in significantly less insulin release. So, why does reducing our blood sugar and insulin have benefits? First, there is a difference between short-term insulin release (natural) and high fasting insulin levels. Individuals who have the highest serum concentration of insulin have a 62% increased risk of cancer mortality. Hyperinsulinemia has links to increased cancer mortality independently of diabetes. In other words, high fasting blood sugar and insulin levels are damaging to everyone — whether diabetic or not (10). A large number of studies support the association between type 2 diabetes with cancer risk and mortality (11). Higher insulin levels result in more pro-inflammatory effects, and there are close links between hyperinsulinemia and vascular diseases such as cardiovascular disease (12). Hyperinsulinemia may be “a unifying theory of chronic disease” as it is involved in the pathways of most modern disease (13). There are various ways to reduce blood sugar/insulin, and it is not only a nutritional consideration – exercise, sleep and even stress all play a role. However, studies show that ketogenic diets reliably reduce fasting blood-glucose and insulin levels. Key Point: When the body is producing ketone bodies, fasting glucose and insulin levels are low. Significantly, research suggests this will also drop the risk of chronic disease. In every cell of our body, mitochondria play the role of creating approximately 90% of the energy we—and our cells—need (14). In short, they break down carbohydrates and fatty acids and convert them into a usable form of energy (adenosine triphosphate — ATP). The mitochondria are imperative to our overall health, and they play critical protective roles in our cells. For example, they control apoptosis (cell death). This process is essential to balance the number of cells in our body — especially for damaged cells. In particular, uncontrolled cell growth can lead to cancer, and modern research is showing that mitochondrial dysfunction is central to a range of chronic diseases (15). Can Ketone Bodies Help Protect Against Mitochondrial Dysfunction? Once ketogenesis gets underway and the body starts producing ketone bodies, some significant changes take place. 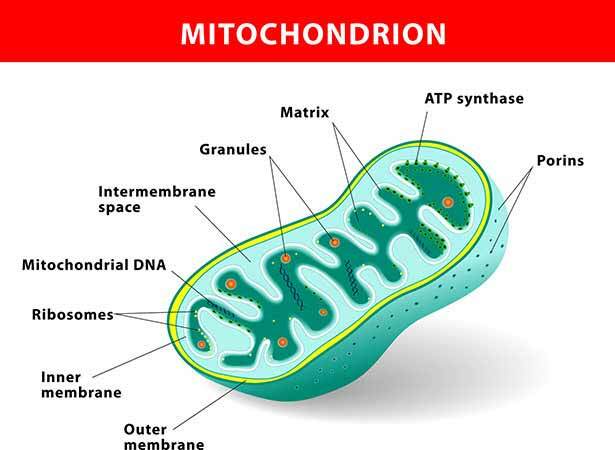 For one thing, mitochondria prefer to use fat for energy as it is easier to process into ATP. Ketone bodies stimulate and improve mitochondrial respiration and function. Ketones exert an antioxidant effect in mitochondria and help inhibit oxidative stress which can lead to dysfunction and disease. Caloric restriction is known to have longevity benefits. In times of calorie restriction, our mitochondria begin burning fat rather than glucose. Therefore, these longevity benefits may also apply when restricting carbohydrate to induce ketogenesis. Key Point: Ketone bodies help regulate and protect the mitochondria, and this may hold disease prevention and longevity benefits. Ultra-processed foods that quickly spike blood sugar levels generally leave us feeling hungry a few hours later. For some people, fighting the temptation to eat these foods is a daily battle. However, many followers of the ketogenic diet claim that they can effortlessly go all day without eating, and this makes losing weight easier. Is it the satiating effect of protein? Or perhaps the lack of ultra-processed foods? Or is there something else going on? Can the Presence of Ketones Directly Suppress Appetite? The ‘hunger hormone’ ghrelin typically rises during weight loss and increases food cravings. However, in a recent study, this increase was suppressed in dieters in ketosis, despite a caloric deficit. In the same study, the satiety hormones leptin and amylin rose despite the participants losing weight. After reintroducing carbohydrate, satiety hormones fell, and hunger hormones quickly increased. A high presence of ketone bodies may provide a signal to inhibit the body’s production of hunger hormones. A meta-analysis and systematic review of available trials suggest appetite suppression through ketosis is plausible. However, a ‘minimal level of ketosis‘ may be required to achieve this effect. Key Point: Personally, I think the satiety benefits of low carb diets come predominantly from the higher protein intake. However, tentative research suggests that ketone bodies may help to suppress appetite directly. The triglyceride to HDL ratio is one of the most reliable predictors of cardiovascular risk. You may have heard about “good cholesterol and bad cholesterol,” but these markers are not thought to be adequate as a predictor of risk. That said, what does constitute the optimal predictor of cardiovascular risk? Many experts have their theories, but the science isn’t set in stone at this time – and I don’t think the LDL vs HDL ratio should be entirely discounted. A 2015 study found that the triglyceride to HDL ratio is the most significant independent marker of cardiovascular mortality (23). In a study involving 374 high-risk heart patients, there was no significant relationship between total cholesterol and the extent of coronary disease. Additionally, there was an extremely significant statistical link from total triglycerides and the triglyceride/HDL ratio (24). How Does Being in Ketosis Affect HDL/Triglycerides? A low level of HDL and a high amount of circulating triglycerides reliably track with high amounts of insulin in the blood (25). In other words, when we reduce our blood glucose levels, insulin typically falls, and the HDL/triglyceride ratio improves. In a study of obese subjects, a sub-20-gram carbohydrate ketogenic diet decreased total cholesterol, LDL cholesterol, triglycerides, and blood glucose. 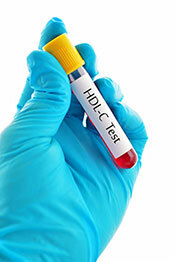 In contrast, there was a significant increase in HDL. This study lasted 56 weeks, and health markers were consistent through seven different tests at eight-week intervals (26). A 6-week study of healthy weight men showed that a ketogenic diet of 8% carbohydrate significantly increased HDL levels without impacting LDL or total cholesterol (27). Key Point: Lower triglycerides and higher HDL appear to reduce the risk of heart disease. When the body is in ketosis, the triglyceride/HDL ratio usually improves. There is a notable amount of anecdotal evidence regarding ketogenic diets and mental health. In particular, many people claim that entering ketosis improved their mental clarity, focus, eliminated brain fog and relieved depression. But is this just anecdotal, or is there science behind it too? Following ketogenesis, intracellular sodium concentrations fall as the body enters ketosis. Significantly, this is the same effect that all mood stabilizers have (28). In human subjects, a randomized, controlled trial found that a low carbohydrate diet induces a statistically significant improvement in mood. Compared to a low-fat intervention group, the low-carb dieters also experienced fewer mood swings and irritability (29). In animal studies, rats feeding on a ketogenic diet displayed fewer symptoms of depression than those on a control diet. These rats also exhibited the same improvements in positive behavior as rats treated with antidepressants (30). Prenatal exposure to a ketogenic diet reduces anxiety, depression, and blood glucose levels as an adult (animal study) (31). Four randomized, controlled trials involving 289 people show that ketogenic diets may be beneficial for epilepsy patients. In brief, the studies show that being in ketosis provides short to medium term benefits in seizure control (32). Key Point: After the induction phase of ketogenesis, the brain can switch to using ketone bodies for fuel. A decent amount of research suggests that this may lead to improvements in depression and mental state. In addition to these six benefits of ketone bodies, there are various other positive impacts that being in ketosis may have on health. They may also be beneficial for sporting performance. But the most important thing to remember is that all diets are just the sum of their parts. Any diet that proves sustainable and helps to improve your daily dietary choices will have positive health effects. No matter what type of eating plan you favor, the important thing is to primarily focus on whole, unprocessed foods. To put it differently, whether a ketogenic diet is healthy or not depends on the quality of foods you are including. For further information, see this guide to formulating a healthy ketogenic diet. I am diabetic and i started to take keto diet a month and four ago. My HBA1C dropped from 7.0 yo 5.9 in this short time. But my lipids are sky rocketing. Triglycerides Jumped to 352 from 200. Total cholesterol jumped ftom 185 to 412. But isn’t this contrary to what you said like it will improve triglycerides to HDL ratio? Of course my HDL went upto 46 frm 34. But still the ratio moved to the wrong side. Coild you please throw some light on this? Did you lose any weight during this time? Sometimes people notice that triglyceride levels rise during fat loss. Otherwise, providing someone isn’t overeating / consuming an excessive amount of calories, this would be quite unusual. It may be worth seeing a doctor as he/she will know your medical history and be able to give personalized advice. It’s an informative read, written by a low-carb supportive dietitian. I recommend having a read. please tell more about the most important thing in keto diet is about whole and unprocessed food. What kind of food that could be negative effect in keto diet ? Basically, the nutrient profile is a bigger indicator of how healthy a food is than the type of macronutrient (carbs/fat) it contains. For example, coconut oil and butter… they are fine. Good for cooking, and they make our food tastier. But if huge amounts of calories are coming from them, then we are displacing more nutritious options that are full of vitamins and minerals. Also, various fried foods can be “keto,” but they may be using unhealthy vegetable oils, so they still wouldn’t be supportive of good health. Thank you for the insightful information. However, you only listed the positive effects of ketone body. Are there any negative effects? Yes, this was solely on the potential benefits. This topic is very good, thank you. What about acidosis and resulting complications dehydration, hypotension and shock…..?????….. Providing someone is healthy then ketoacidosis is a non-issue, the body is able to regulate ketones and keep them in balance. Like always, diabetics should discuss with their doctor before starting any new diet. So, how can I tell if I am in ketosis? There are a few different ways you might be able to tell, or if you want to be sure then you can buy something called ‘ketone strips’.